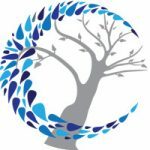 For more than 10 years our professional genealogy experts have been helping people overcome their genealogy roadblocks and helping families trace their ancestral background. Connecting you with your past is our passion while enjoying the stories and memories will take you back to the life, joy, and struggles of the past. With our combined research experience, we have the team with the passion and knowledge you can trust to discover your family’s story. Quentin, our skilled and experienced professional researcher, an author, a film and video producer, a businessman, and a former Central Intelligence Agency (CIA) case officer. With his University of Utah degree and his work in the intelligence community gave him a deep knowledge of research and investigative techniques that he has continued to use him in later years. 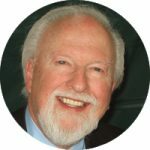 He has been an avid private investigator and professional genealogical researcher for over 40 years and has handled cases for more than 200 clients in more than 30 countries. 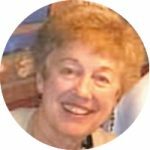 Joyce, our 40+ year veteran professional researcher has been accredited by the Family History Library and by ICAPGEN in Isle of Man and English genealogy research since 1992. In addition, she is extremely knowledgeable in Irish, Scottish, U.S. and other genealogical searches. Well experienced in genealogy, family history, and tracing roots. She is an extremely effective researcher and often ask for by name by new customers. Joyce credits genealogy research with keeping her “sane” and staving off Alzheimers. Kim, is a gifted family historian and an internationally respected qualitative researcher with an interest in social history. 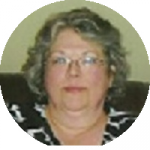 She has conducted genealogical research for over 20 years and as professional for the past 10 years. Kim has a doctoral degree in the social sciences and a post-graduate diploma in genealogical studies. Having a Metis heritage, she has a significant interest in Metis, Native American, French-American/Canadian, Creole and early American/Canadian genealogy. Customers describe Kim as a problem solver. Nancy, specializes in heir research or probate research cases. 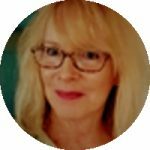 Earning her PLCGS credential in Methodology and American Records, she needs be your next genealogy export for your estate settlement report; if you want it done correct the first time. You’ll find her education, her skills, and her passion all match and visible in her reports. So much so that her reports are usable in court and Nancy is available for testimony, if required. Due to her expertise in American records, Nancy is aspires to solve your next American genealogy roadblock. Kathleen, is former librarian at the State Library of Pennsylvania who holds a certificate in Genealogical Research from Boston University and a certificate in Forensic Genealogy Research from the Forensic Genealogy Institute. She specializes in Pennsylvania research but can research anywhere in the U.S., UK, or Ireland after 1850. Her favorite cases involve family mysteries, such as searching for lost or missing deceased ancestors. She has successfully completed over 100 research projects. Linda, your project manager. Linda will coordinate people and processes to ensure that your projects are delivered on time and produce the desired results. She is the go-to person for everything involving a project’s organization and timeline. 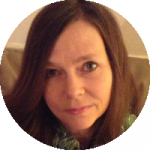 During your time with us, Linda will be available to assist via our online research suite. She’s there to assure professionalism, promptness, and your satisfaction. Tone, is your Norway, Denmark, Sweden, & early Finnish expert. She completed all of her education in the cities of Oslo & Bergen. Speaks English, Swedish, Danish, Spanish & German. 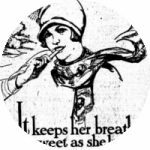 Her proximity to the Salt Lake Library enables her for quick archive retrievals & other resources. 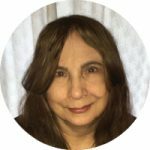 Susan, has over 30 years of experience in genealogical research and has traced ancestors back to the early 17th century. Her areas of expertise are Canadians and Americans searching for their roots in the UK, Scotland, Ireland, France and Germany. 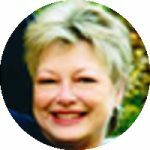 Blain, DNA expert and a professional genealogist with more than 10 years of experience. Blain helps our team crack some complicated DNA analysis roadblocks, along side providing his genealogy expertise. George, working out of the New York state, George has access to an array of resources. His 20+ years in genealogy helps us uncover ship records, immigration records, and much more. George has solved so many immigration roadblocks, it’s amazing. Larry, has over 10 years of experience in genealogical research and his primary focus is around Georgia.